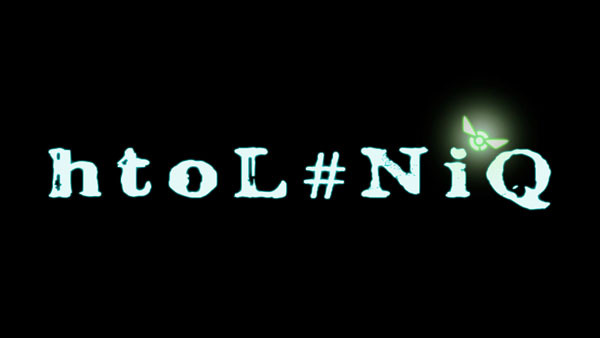 The full title is actually htoL #NiQ: Hotaru no Nikki. For real. Nippon Ichi Software’s latest PS Vita project is htoL #NiQ: Hotaru no Nikki (apparently that’s the title, yes), this week’s Dengeki PlayStation reveals. The game will be released as a download title in Japan for 3,086 yen, with a limited run retail edition including a special box, visual art book, original soundtrack, and pair of tin badges offered at 5,800 yen. Masayuki Furuya is the game’s director and character designer. In Hotaru no Nikki, the player controls a firefly, guiding a girl named Mion. Also available is the shadow firefly, which moves forward within the shadows. The graphic style uses animated analog touch illustrations. According to Furuya, while you may feel sorry for Mion, he describes it as a sort of “die and remember” type of game. You control a firefly and guide Mion. It’s the firefly cursor from the teaser site, illuminating its surroundings. Mion movements follow the firefly. You have to skillfully guide her through places with obstacles, etc. It’s the same thing but from the shadow’s perspective. You control a shadow firefly instead, while the stage’s objects become shadows. From here you can remove objects from the stage in order to complete levels. Mysterious enemies lurk in the ruins’ shadows. They seem to be only visible from the shadow perspective. If you’re caught by them, Mion dies. There are traps in the ruins that may surprise you. If you get caught, Mion dies. We’ve started a new brand to put creative energy within the company to construct new games because we are interested in making proper new titles. Harem Paradise has the Osaka branch staff, but the leader of htoL #NiQ is the designer who had a hand in the chibi character animation of the Disgaea series. As a completely new title, we wanted to challenge ourselves with something original. As for the PS4, I’m sure at some point or another the new brand will deal with it, but right now I think the most important thing is creating a title that everyone desires. Please look out for follow ups as development progresses. I think making the jump to PS4 will be easier than going from PS2 to PS3. I don’t have high demands for the PS4’s graphic quality, rather I want to utilize it’s features.